Our innovative green wall hub is designed to support stainless steel wire under tension, this system allows for large scale trellis installations with high load applications. To work with our unique Self Assembly Threaded End Stud and M8 threaded stud fittings. 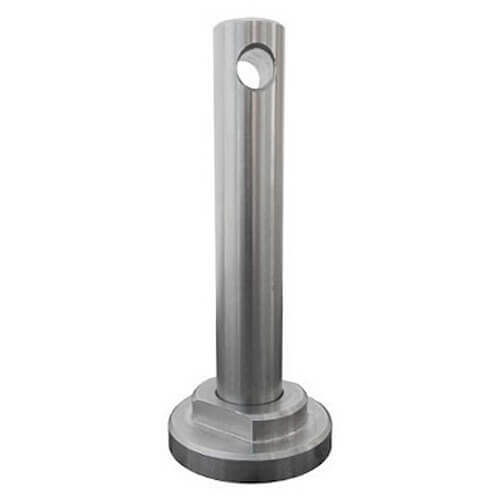 Manufactured from high quality 316 grade stainless steel for indoor and outdoor applications. Supplied with a M8 dual thread screw, ideal for a quick and easy installation to either hardwood timber (such as oak) or masonry surfaces. 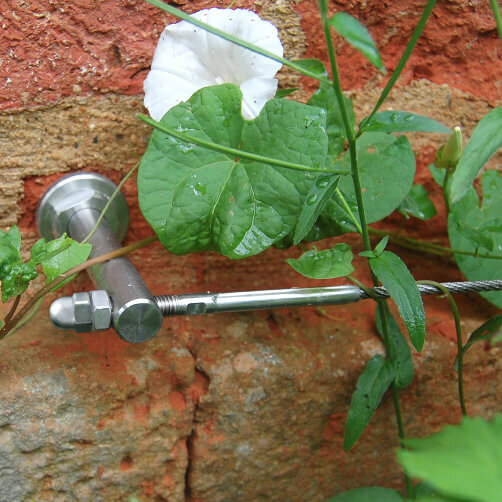 This high quality stainless steel hub for tensioned wire trellis has been engineered and manufactured here in the UK. 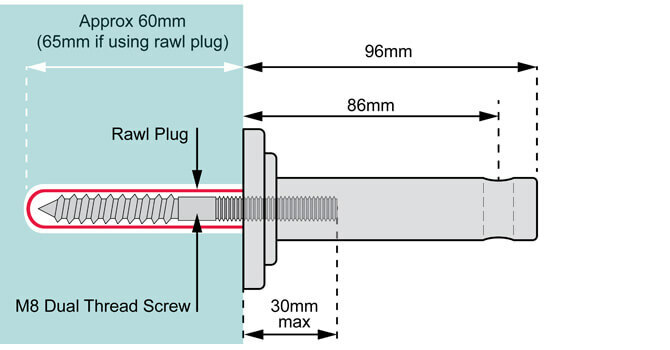 The dual thread pin allows direct installation into hardwood timber and if combined with the correct rawl plug it is attachable to almost any masonry surface. Once the dual thread screw is firmly fix in place simply screw the wire trellis hub onto the remaining thread. Perfect and alignment and position can be achieved by simply turning the adjustable base plate of your hub in or out, to ensure a secure and rigid fixing. The example below shows the wire trellis hubs combined with custom made to measure stainless steel stud to stud wire rope assemblies. Hard-wearing, good quality and relatively easy to install. Would benefit from provision of a tool to twist the mounting into place. I used an Allen key but something bespoke would be good. Quality product leaving a quality finish, alays makes the client happy. Very useful with longer stretches of wire. High quality component that looks as if it will stand the test of time. Well made, and well worth buying the extra support if the wire length is over 3 metres long. Tensioned Wire Trellis Kits, for DIY installation. 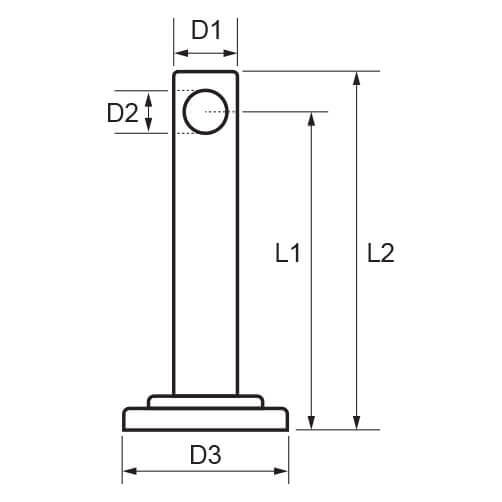 Threaded End Stud with M8 thread. Threaded Stud Wire Rope Assembly, made to measure.